Kick your shoes off, undo that tie, and let your hair down. 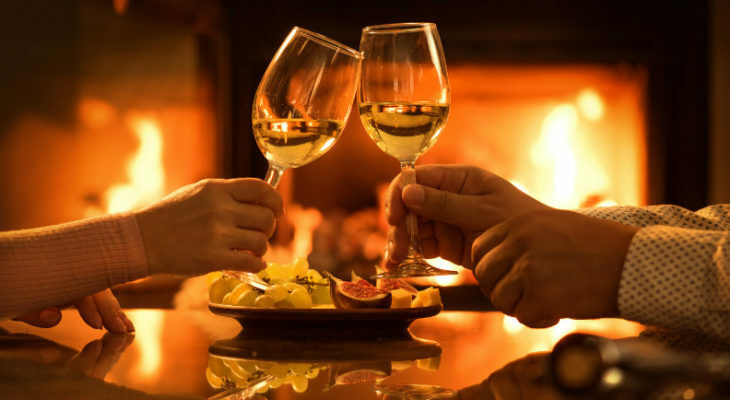 It’s time to relax, and romance and relaxation are what we do best at the Inn at Sunrise Point. Leave your stresses, schedules, and responsibilities behind as you and your loved one embark on the most luxurious retreat on the coast. When you stay here at the Inn at our award-winning oceanfront Bed and Breakfast, the lavish accommodations begin as soon as you arrive. We take great pride in making sure our guests are as comfortable and relaxed as possible. Have you ever wanted wine and cheese waiting for you in your room? Is a private Swedish massage something you would enjoy? Or maybe it’s always been a dream of yours to have a bubble bath while enjoying chocolate covered strawberries and a bottle of champagne? We can make that happen too. 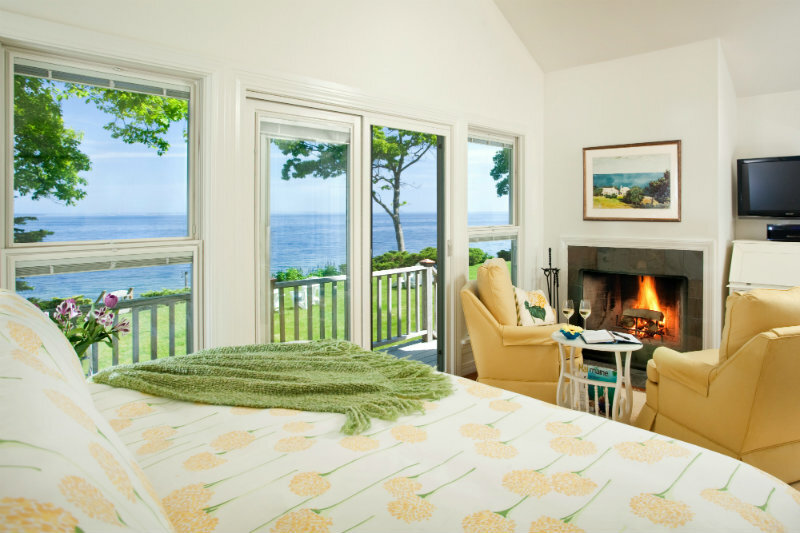 You and your partner one’s comfort and happiness are top priorities at our coastal Maine Inn. We offer a variety of specials and add-ons to make your stay amazing. 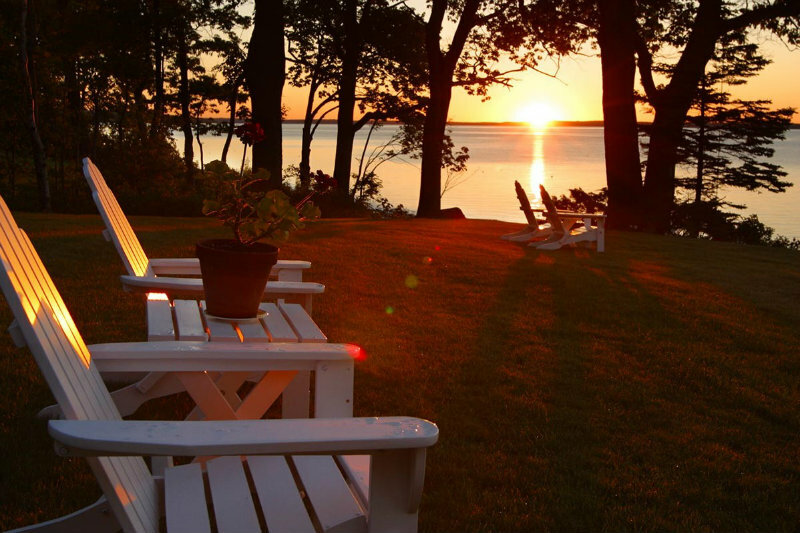 Begin your marriage on the coast of Maine in our spacious rooms and cottages. Our unique and indulgent Ultimate Romance Package is complete with a chilled bottle of Veuve Clicquot Champagne upon arrival, a box of chocolates, a bouquet of red roses, and more romantic touches. This makes the perfect addition to your trip to show your partner just how much they mean to you. If extra quiet and privacy are what you and your special someone want during your stay, look into booking one of our romantic cottages. These provide additional solitude to guarantee your alone time. 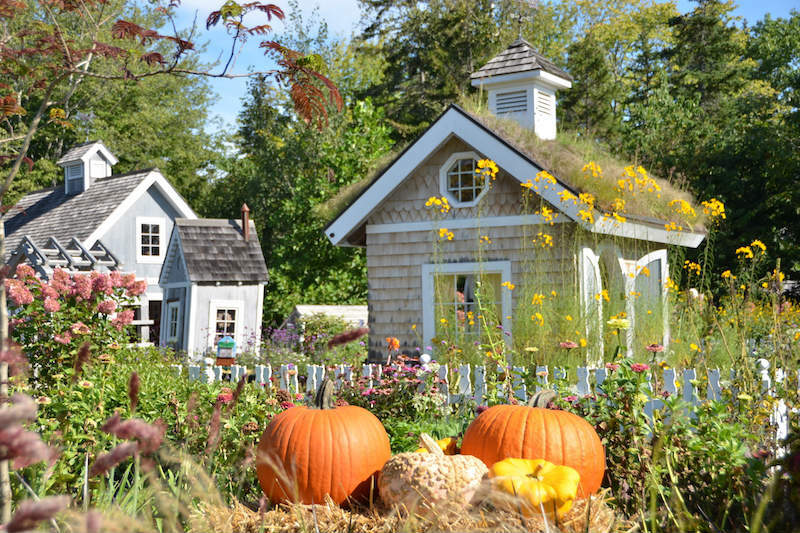 Sip coffee together on the porch of the Fitz Henry Lane Cottage or watch the moon come up over the water from the windows of the Winslow Homer Cottage. Many have fireplaces, bathtubs, and king-size beds, setting the ultimate standard in relaxation. When you book your next romantic getaway, look no further than the Inn at Sunrise Point. Relax in a comfortable room, make the trip more unique by including additional amenities, and most importantly, unwind with your partner. Our charming bed & breakfast is the perfect spot to become refreshed and reposed, all while having views of the coast. Not only is our Inn on the water, but Camden provides many activities if relaxing wasn’t the only thing you wanted to accomplish on your trip. Indulge in fresh seafood or take a boat tour, but make sure you return to the Inn at Sunrise Point to catch up on your well-deserved retreat.